We are proud to provide legal counsel to clients in cities throughout the U.S. and in countries around the world. At Dayzad Law Offices, we make an otherwise intimidating process smooth and stress-free for our clients. An experienced immigration attorney—not just a secretary or paralegal—devotes attention to each case. Focusing on client preferences and goals, the attorney will use extensive legal expertise to create a strong case strategy. Unlike many immigration law firms, the attorneys at Dayzad Law Offices maintain direct contact with clients on all immigration cases. Each attorney at Dayzad Law Offices is fully up-to-date with every step of the application process and each attorney personally oversees the management of each case. It is this meticulous oversight that sets us apart from other law firms where attorneys are only involved in a fraction of the application process. Clients receive a response to their inquiries from an immigration attorney within a day. They can also access important information about their immigration case through our immigration portal. To meet our clients’ global needs, our law firm has direct access to a network of law firms throughout the world as a member of the prestigious International Network of Boutique Law Firms (INBLF). 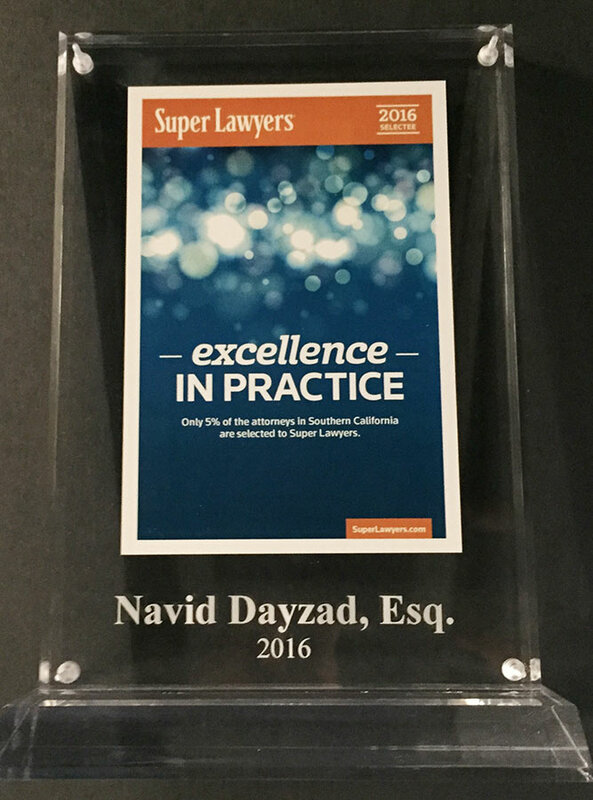 Mr. Dayzad was selected as a 2019, 2018, 2017, 2016 and 2015 Super Lawyer in immigration law. This honor is reserved for the top 5% of Southern California attorneys and published in Los Angeles magazine and Thomson Reuters Super Lawyers magazine. 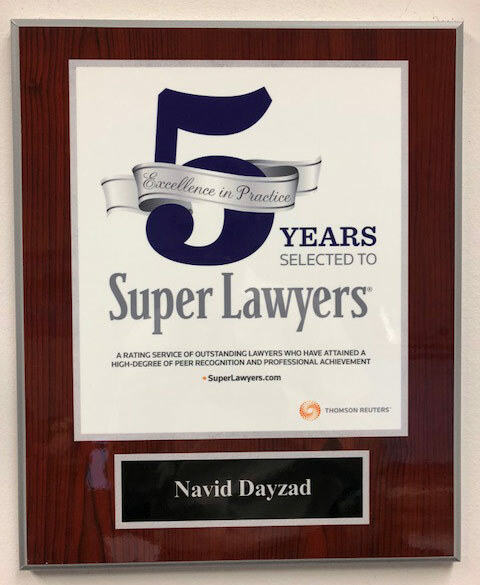 Mr. Dayzad was selected as the recipient of the 2018 Avvo Client's Choice Award and has received their highest 10.0 rating. AVVO ratings are indicative of a lawyer’s experience, professionalism, and background.